Transform, made from RDI’s resin based, state-of-the-art Resalite core, contains no wood! Transform has the elements you want in a wood railing – the weight, look, and feel of wood, and nothing you don’t. It will not absorb water so it won’t rot and it resists weathering, discoloration, and sagging. Transform’s 100% acrylic exterior surface provides long lasting color and a light textured, low-maintenance and durable finish, making it perfect for the harsh weather conditions found along the coast of Massachusetts in towns like Gloucester, Newburyport, Beverly and Billerica. 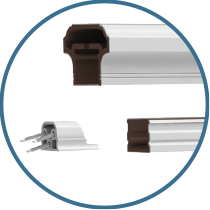 Unlike Wood Plastic Composites, Resalite contains no wood or organic fibers. Weather resistent and strong, Resalite won’t absorb water or rot, and resists discoloration, fading, and sagging. Transform provides superior strength and dependability in a product that is as easy to work with as traditional materials. 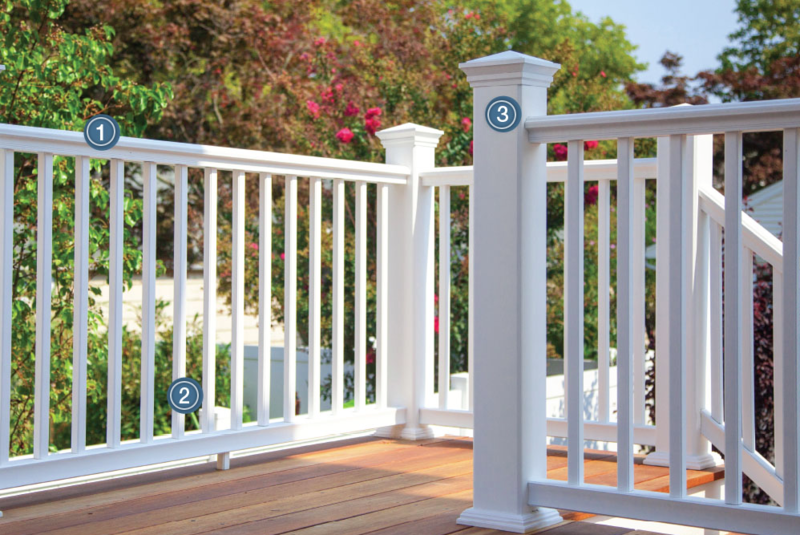 Transform level and stair balusters attach quickly and easily with mounting adapters, saving time by eliminating the need for tedious nailing or screwing each baluster into the railing. 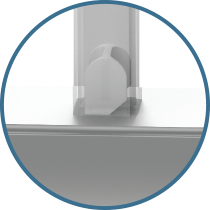 This innovative baluster adapter works in level and stair rail configurations and saves valuable installation time! 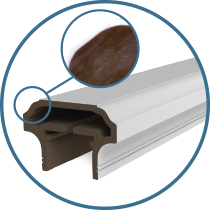 Brackets are concealed within the rail structure, providing a clean finished look. One bracket is used for all applications level, stair, and angled installations; simply cut the bracket at the an angle for the desired installation.